Last weekend, the Board of National Committees convened at the international office of the EYP in Berlin. The BNC is a forum for knowledge sharing and coordination among the National Committees and acts as the voice for their interests; above it is the Governing Body. 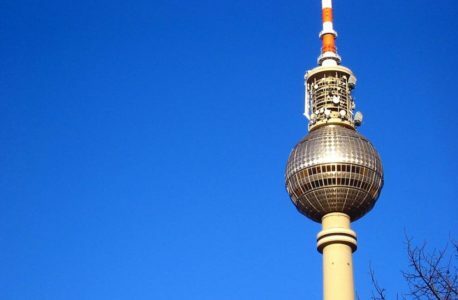 The BNC meets twice each year, usually in Berlin. Several important issues were discussed and voted upon at the Autumn Meeting. First, the BNC voted unanimously in favour of EYP Azerbaijan becoming the 36th National Committee of the EYP after a recommendation from the GB. It was also announced that the 74th International Session will be hosted by EYP Switzerland in Zurich in summer 2013. While the BNC does not have power to change the Charter or the policies without the consent of the GB, several policy proposals were discussed at the meeting. The BNC rejected the proposal to establish the positions of a GB Chairperson and a BNC Chairperson. The proposal to amend the Charter to give the BNC the right to veto GB decisions was however agreed on, and it will now move on the GB to be discussed at their meeting next weekend. The work of the BNC is facilitated by the BNC Coordinator. At the end of the meeting, Wim van Doorn from EYP the Netherlands was elected the new Assistant Coordinator of the BNC. He will assist Oleg Shimanskyy (UA) until claiming the role of the Coordinator at the end of the Spring Meeting.